Summer is here and I am very excited about longer days. Much of what I do (photograph and paint) is best done in natural daylight. This week I got stuck on a project. I struggled with how to express both the transparency and reflective qualities of water in an illustration. Immediately, I pulled out my David Hockney books and re-visited his pool paintings that he made while living in LA. The way he expressed the lyrical movement of water without being so literal resonates with me, not to mention his masterful use of color. Happy Summer Solstice everyone - let's make some fun projects happen this summer. Would love to hear what you will be working on. Send me an email, comment or post on my FB Page. 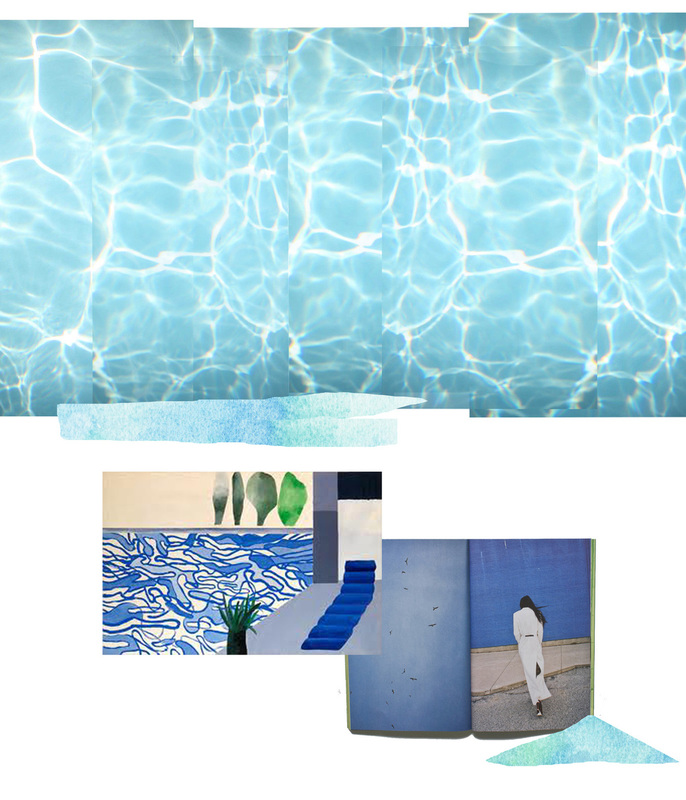 Photo collage by me, illustration tidbits by me, Picture of a Hollywood Swimming Pool 1964 by David Hockney, Bad Day No 13, 2012 magazine spread.